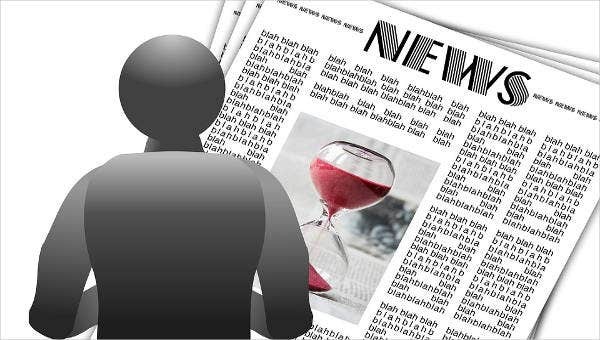 A newsletter is a publication that is about a topic which is regularly distributed. The main topic is usually dependent on the interest of the subscribers. They are distributed by schools, clubs, and companies to provide statistics to gain interest of members and employees about the issues going on around their organization. 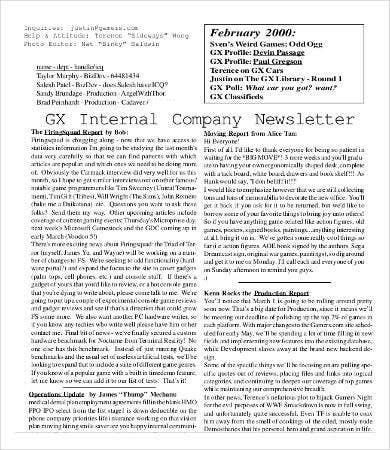 Newsletters can be sent through pieces of paper like in newspapers and electronically. The latter type of newsletter have gained popularity over the printed ones. 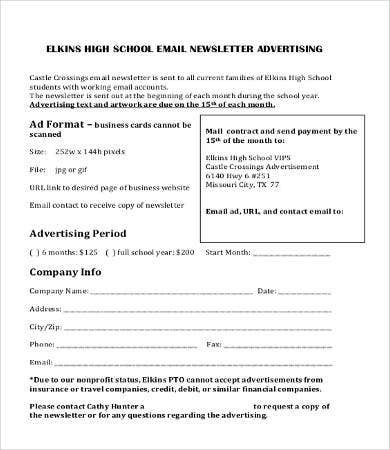 But whether electronic or on print, newsletters are a great way to inform people around your circle. So perhaps you are planning on sending out newsletter and want some hints on how to formulate one. We are to help you by providing some Newsletter Template that you can check out. Communication. They are used to gain attention or share information. 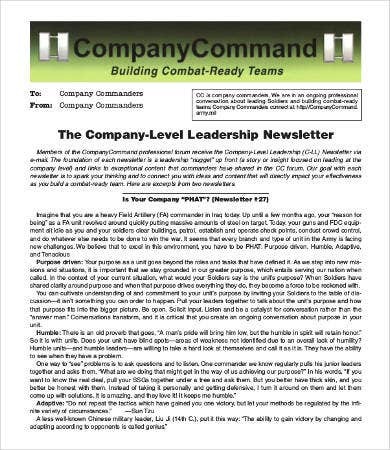 Company newsletter can keep the employees posted about new trends, policies, and goings on within the office. With this, it strengthens relationship between employer and employees and also the bond of costumer and provider. This is because newsletter establish trust, showing employees they are valued. Educative information. This highly depends on the content of the newsletter. Some educate costumers about new products, while others inform about employee highlights or announce upcoming events. 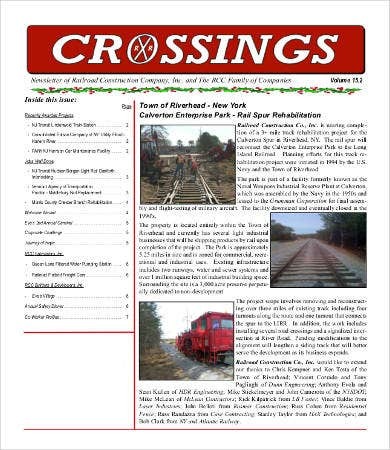 Newsletters are also a great way to clarify misconceptions and differing points of view. Market vehicle. Sales can also be the whole purpose of having a newsletter. Advertising products and services can be the main topic of such newsletters. It basically contains encouragement for people to buy their products. Once a costumer has contacted sales associates of the company, they are able to give out personal contact information, and then when new products surface, these costumers are sent with newsletter concerning such products. Budget marketing. 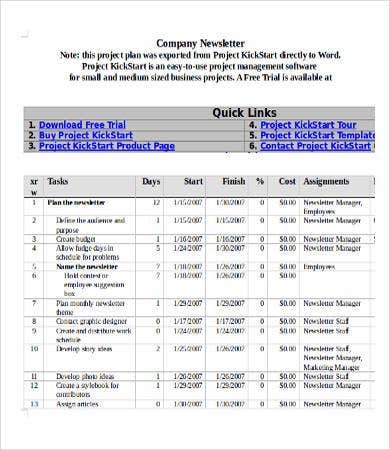 Newsletters are inexpensive to produce, especially electronic ones, which reduce the purchasing of papers. The money spent on paper can be used in some other way by the company, thus staying in budget. 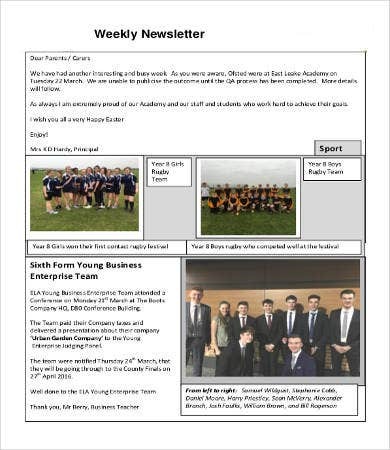 Now that you are educated about the importance of newsletters, you are now ready to check out our offered templates such as Word Newsletter Templates and Business Newsletter Templates. Have a storytelling tone or conversational tone as if you are talking to the reader on a coffee break. Try limiting the information in the newsletter. Know your audience and focus on the reader’s attention and lure them in by talking about their interests. Add a somewhat dramatic and captivating headline to attract audience. Keep your designs creative as this can make look people look twice. Keep sending them on a regular basis. People who usually receive newsletters on a regular basis tend to read them more. 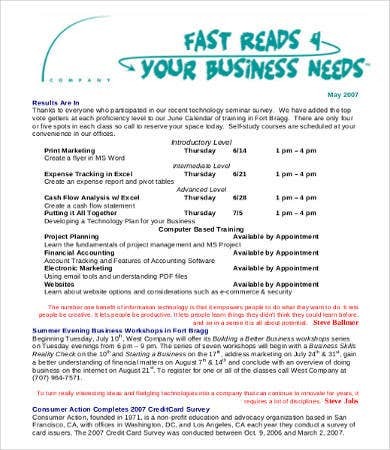 Our sample newsletter templates can be downloaded, accessible, efficient, and packed with accurate information for all of you who are in the process of making your own. Just click and download now!